and website visitors in real time. everything is done through your website. 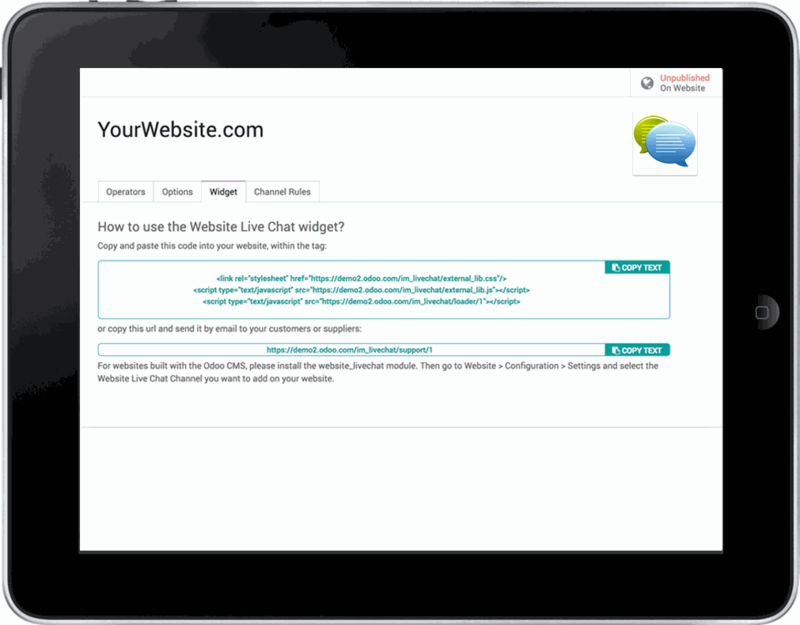 Provide your visitors with information in a fast and simple way - direct chat with customers on your website has never been easier! 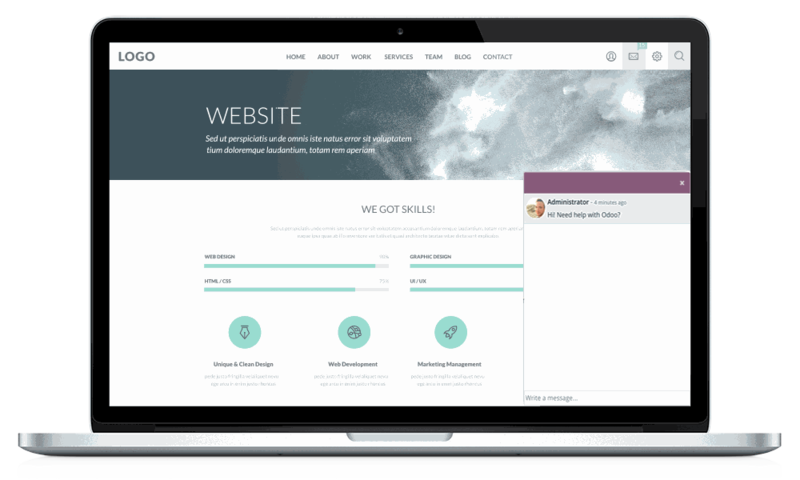 Filter your audience by country and provide better customer service by engaging with your customers and website visitors using the right language and tone. 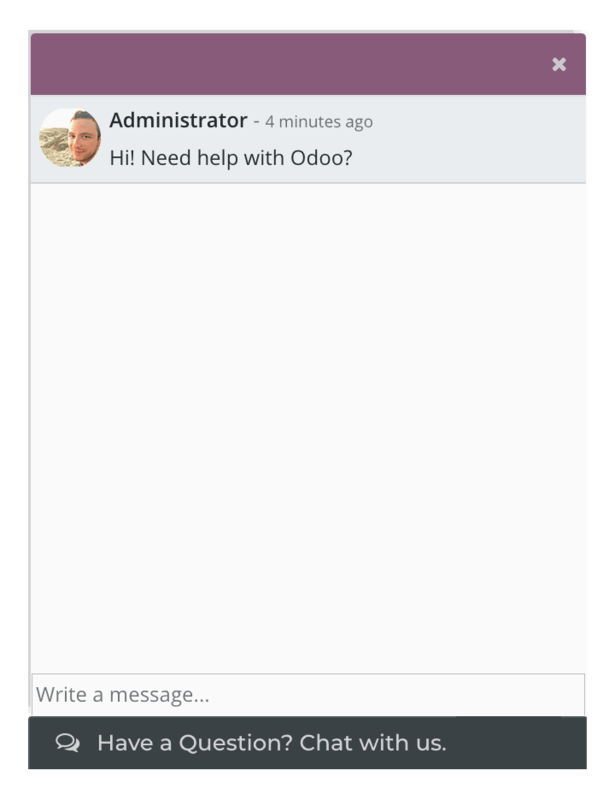 Keep conversation with your customers in Odoo to allow multitasking when looking for important information in the backend. Access all information the same time the conversation window is open so you can give accurate and precise answers. Gather customer feedback to improve the quality of your service with a simple rating tool for live chat sessions. Customers simply have to rate the conversation after their questions have been answered. Spend less time on frequent questions by inserting pre-written answers using simple keyboard shortcuts. 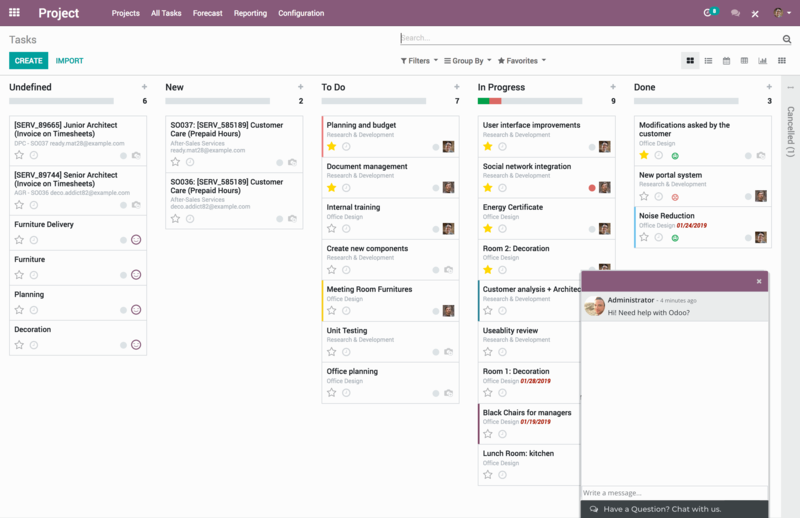 Customize answers and add as many shortcuts as you like. 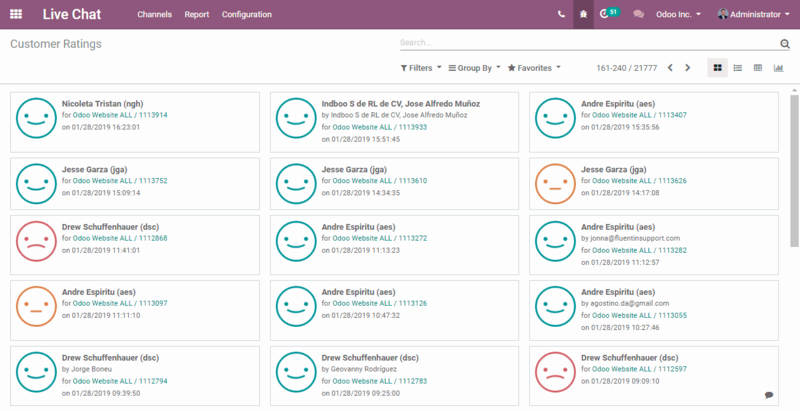 Odoo is a suite of Jackpotxo business apps that cover all your company needs: CRM, eCommerce, accounting, inventory, point of sale, project management, etc.